My name is Klara, 21 years old and I am from Germany. Currently I am studying Business-Engineering. I decided to go to Canada for the international experience and because I have a fascination for the country. I found Internex through my university, since they have a collaboration. I am doing an internship here at the moment and I really like it! For my internship you need to be able to work independently and be open-minded as a person. My first impression I got when I came here is that the airport looked nice but small and that Canada is absolutely beautiful. I still feel that way now. The PR-team organises events and activities and I think they are really good. I love the events and the girls do a very good job organizing everything! So I kind of attended nearly every event in the last 3 months. What I like most is that Canada is just a beautiful, fascinating country with a lot of different attractions. The nature is stunning, especially Vancouver with the beaches, mountains and city centre! A difficulty I had to face here is that I am living in Surrey, which is too far away from downtown Vancouver… but that is kinds of the only negative part about my entire stay here. The most memorable things for me are the hikes I did and the great people I’ve met. Internex was helpful for me to give me a good orientation, good support and the events helped a lot to meet new people and to have a great time in Vancouver. I would definitely recommend it! This experience definitely inspired me to travel more, but I don’t know where I will travel at the moment. When I get back in Germany the first thing I will do is eating bread and CHEESE! And meeting my boyfriend and family again! My name is Janel and I’m a 20-year-old Dutch student in International Leisure Management at the NHTV in Breda, the Netherlands. I love organizing events. Which is also why I will be your new PR-Coordinator for the next 7 months. I will support INTERNeX with their PR tasks like organizing Pub Nights, weekly events, monthly events and more! You can also always come to me if you have any questions! Another hobby of mine is playing or watching soccer games. I also really like watching and playing other sports. Meeting new people, going out with friends and do activities is also one of my main hobbies. So I’m definitely a person that always wants to be busy and do anything. I also love travelling and exploring new things. In the beginning of this year I went to Venice, Italy, for 5 months. I was studying there at the Ca’ Foscari University. 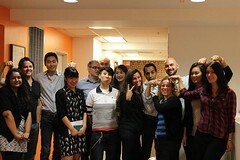 I had a great experience there and I really want to make your experience here in Canada amazing too! Last Friday I arrived in Vancouver and I already like Canada. The people are really kind, the city is big and the nature is beautiful around here. So hopefully we will see a lot of it during the time we are here! I am looking forward to see you all tomorrow at the next Pub Night. And I hope that we will have lots of fun together in these coming 7 months! My name is Whitney, I am 23 years of age and I am French from Martinique. I decided to come to Canada because I heard a lot of great things about it and my partner was already doing his internship in Vancouver, so I took a plunge and decided to go too. I was studying in the United States (Ohio; as an international student from Rouen) so I thought it could be nice to discover Canada! I found out about INTERNeX through a French agency that had a partnership with it. I was participating in a co-op program but it wasn’t what I first wanted. Since the waiting list was too long for the visa I needed, Tim at INTERNeX offered me to apply for a co-op instead. It worked out, so I got the chance to do my internship at EC Vancouver, a private school that offers English classes to foreign students. It was awesome to work there. At EC, I had to use a lot of my skills, which is exactly what I wanted. I used all the languages I speak; I also had to do teamwork and communicate a lot. I am not really a people person but in that context I must admit that I was, and I genuinely enjoyed it. It really made me more confident and I am going to make sure I use this new skill wisely in the future. So, since I was working in a school, the tasks depended on the day of the week. 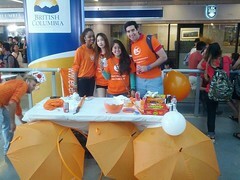 At EC Vancouver we greeted new students every Monday. That same day we have to copy their passports and medical insurances, give them a walking tour, and then return their documents along with a schedule and their student IDs. The weekly tasks changed a lot but I had some recurrent things to do: help students with their inquiries, print and promote activities through in-class announcements, librarian tasks, take pictures on graduation days (Fridays), enter data in our software (personal information, grades, attendance, warnings, etc.). Both my experiences in Vancouver and at EC Vancouver have been awesome. I was honestly a little nervous because I am a bit shy and naturally anxious but everything turned out fine. 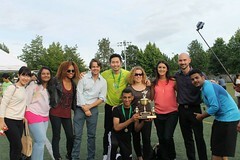 My team was the bomb; fun and very dynamic. My supervisor was the best I could have had. I feel very lucky. They are all very unique and I miss them a lot. As for Vancouver, this is the only thing I want to say: Thank God it’s not going anywhere because I’m coming back to work after my Masters’ degree! The landscapes, the people, the lifestyle. All this is just amazing. 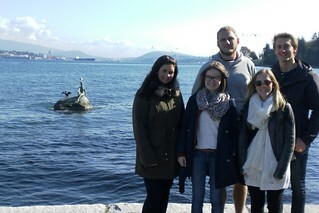 I visited a lot of places (museums, Stanley Park, Victoria, restaurants etc. ), I went bicycling and spent time with my coworkers in bars. It is the best thing that happened to me so far. Just go for it, you won’t regret it! Well, there I was. Once again on a plane heading to Canada – Sipping my tomato juice, which is ‘plane’ better at high altitude, while gazing through the 17 1/8″ x 20 5/8″ window. Yet Canada looked like a layer of thick, dense clouds. Seriously though, I couldn’t wait to catch a first glimpse of my beautiful new home, British Columbia. During my one-year stay in Edmonton during grade 11, I was often told to visit Vancouver. When someone would ask me about my thoughts on the city I would respond ‘If Whyte Avenue is Edmonton’s most exciting street, well then Vancouver must be Canada’s Whyte Avenue’. I couldn’t wait to see this place! While still in German High School I started planning my best possible way to spending time in Van City. Luckily it didn’t take me too long until I came across INTERNeX. Their help was crucial for me to say the least! Going through the whole visa/internship application process can get really exhausting. It’s great to have some professional back up, unless you like throwing pity parties due to frequent frustration. And then…Boom!! While having a barbecue with my friends on July 11th, I received Mr. Wells’ email saying I got an internship placement with an NGO. Without trying to exaggerate and in respect of my friends hating to see me leave again – my excitement spilled over and captured everyone’s feelings. Now, two months after being on that plane to Canada, I can say that living here In Vancouver has been an incredible experience so far. Through my internship I have networked my way around the NGO sector and I had the chance to attend enormously informative panel discussions and workshops. Above all that, it doesn’t even seem like I have arrived at the tip of the iceberg yet. There’s a lot more to come. And hey, didn’t you always want to wake up and ‘SpongeBob-Style’ walk your way to the office thinking ‘I’m ready! I’m ready!’?Well I do that five times a week. And needless to say, I even find time to explore Vancouver’s stunning surroundings. 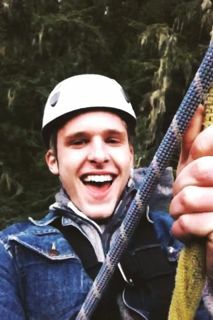 Look at my picture from when I went zip lining in Whistler! It’s only one shot of a whole library of great experiences, at great places, with great people, and last bot not least – with InternEx. Thanks guys! Before I came to Vancouver on the beginning of October, everybody told me, it will be very very rainy the whole two months I will stay there. So I started my trip to Vancouver expecting a lot of rain and spending most of the time inside. Actually, I had such a great nice and sunny time in Vancouver until now and my time is almost over. I could enjoy the incredibly amazing nature in Vancouver by hiking, running and walking through the beautiful Parks in Vancouver. My first hike was the Grouse Grind, up to Grouse Mountain, and I still don’t know what I was thinking when I decided to wear Chucks and Jeans on this day to do the Grouse Grind, that was the most stupid idea I probably ever had! I stood at the starting point and saw a lot of people in sport clothes doing some stretching and preparing for the hike. I felt a little bit afraid because of this situation but I decided to pervade this hike even if I had to do it in Chucks and Jeans. I actually arrived the peak with a good feeling because I had a lot of fun while hiking and the view on the peak was amazing!! That was one of many exciting and awesome trips I had in Vancouver. But the very best trip was my tour through the Rocky Mountains. Although I spent much time in the bus, I had a great time with funny people. We enjoyed the amazing landscape while sitting in the bus and in the evenings we relaxed in hot tubs and hot springs before we went out for party in pubs and clubs with nice locals there. On the last day, we actually could go to Lake Louise for skiing or snowboarding. There were many people and only one run was open, but we really enjoyed the time in the snow and now I can say, I was snowboarding in the Rocky Mountains. I think that’s pretty cool :P. The whole trip was just awesome! Of course, I didn’t spend the whole time having such nice trips, I also had to work. Work was very fun though, because I had to dress up for a Halloween event in the Stanley Park and played with really cute little kids dressed up for Halloween as well. Oh I will never forget those adorable little pumpkins, strawberries and ladybugs. Halloween itself was crazy! It was very hard to find a costume that covered more than only the necessary parts of my body. When I finally found a costume I went to a party at the Blarney Stone with INTERNeX and had a lot of fun there with great live music and funny games. So thanks to INTERNeX I could meet a lot of other students I spent a lot of time with after I met them on the events, which INTERNeX organized. Although I’ve been staying in Vancouver for only two months, I experienced so many things in this short time and it was an amazing time. The people are very open-minded and that makes it easy for you to find people, with who you can enjoy your time. For me, Vancouver is one of the most beautiful cities in the world and I would recommend going there to everybody. So I am very sad that I have to leave soon and I will never forget my time in Vancouver. Do you want to take a break from university, gain international experience after high school or just travel abroad? Our hospitality program is the perfect solution for you to travel to the most beautiful places, get to know life in Canada and make money for more traveling at the same time. The program is a perfect opportunity to gain work practice and experience in the hospitality sector. The best thing is that you can improve your English in a working environment and fully engage in Canadian living with local people and everyday professional life. 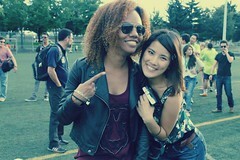 Additionally, you get to meet people from different countries and gain friends from all over the world. Paid positions in tourism industry are available in resort communities of the Rocky Mountains such as Banff, Jasper, or Lake Louise. You can enjoy breathtaking views and mountains in the ski resorts in winter or experience lakes and the most beautiful nature in summer. If you are into big city life, there are positions in world-class cities such as Vancouver or Toronto. Your work will be in housekeeping positions, in restaurants, as waiters and even in hotel service management, depending on your previous experience. INTERNeX helps you to find a position and arrange the best time of your life! Travel the world and be independent!